Will Juicing Make Me Fat? Can I Make My Own Pre-Workout? I recently started a new exercise plan and find I need a little boost to get me going before my workout. I went to my local vitamin store and almost all of the pre-workout powders had artificial ingredients like colours, flavours, and artificial sweeteners, as well as having really high amounts of caffeine and other synthetic ingredients I do not want to consume. Is there anything I can put together myself that will provide sustained energy during my workout? You are making a great decision by avoiding the pre-workouts with synthetic ingredients and artificial sweeteners and colours. It is quite simple to put together your own mix of ingredients to help power you through your workout and even provide extra benefits for recovery. As you can see, you can easily select a number of ingredient combinations to shake with water and enjoy before your workout. For extra flavour you can squeeze fresh lemon or orange juice, or add a few drops of Simply Organic Natural Liquid Extracts (peppermint, lemon, orange, etc). Green smoothies and green juices also make excellent pre-workout drinks. You can also incorporate any of these ingredients into a smoothie or juice. The possible combinations are endless! Play around and experiment with different combinations to find out what flavours you enjoy and how your body responds to the different ingredients. Last week we looked at the first 3 underlying causes for some of the most common reasons for low energy: Dehydration, Digestive Issues, and Low Adrenal and Thyroid Function - read the entire blog post here. These two essential nutrients are critical for the formation of hemoglobin, the oxygen carrying substance in red blood cells. Without enough hemoglobin our cells do not get enough oxygen. To find out if you have low levels ask your doctor for a blood test that checks ferritin (iron) levels, B12 serum, as well as homocysteine. Homocysteine can sometimes be a better indicator of B vitamin levels, especially if you eat a lot of seaweed. 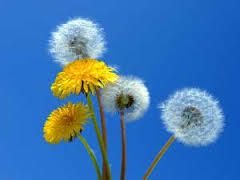 Seaweed contains B12 analogues that look like B12, this means your B12 serum levels can look normal but actually be low. On the other hand, if homocysteine is higher than normal that is a sign of low B12 (along with folate, and B6). Both iron and B12 require strong and efficient digestion in order to be properly absorbed. Sometimes even if we are eating enough we can still be deficient, especially if stomach acid (HCl) levels are low. There are many great plant-based sources of iron, and absorption is enhanced if Vitamin C rich foods are consumed at the same time. If you want to boost levels even more look for whole-food based iron supplements, these have better bioavailability and do not cause digestive upset or constipation. For B12, supplementation is recommended. Look for sublingual methylcobalamin or whole-food based B12. B12 deficiency is quite common, even in non-vegans. If you have low energy, tingling in fingers or toes, low stomach acid, over 50 years old, or are not sure about your food sources, it is recommended to get your levels tested. The liver does so much for us, when we overwork it the functioning begins to slow down. Not only does this put extra strain on the other detoxification organs (skin, lungs, kidneys, colon) but also prevents proper digestion, absorption (especially of fats), and detoxification. An overtaxed liver may also result in increased feelings of anger and irritability, so if you have low energy and experiencing more of these emotions it is a good idea to support liver function with specific foods and herbs. The common consumption of stimulants, refined and processed carbohydrates, and sugar results in spikes in blood sugar leading to the inevitable crash - in both blood sugar and energy. These highs and lows can result in cravings for sweets, stimulants, and refined carbohydrates when we feel tired since they provide a quick boost in energy, but the resulting crash just leads to more cravings. This energy however is not true energy, you can kind of think of it as borrowing energy from tomorrow that you don't actual have, leading to an energy deficit as well as an overworked pancreas and adrenals. To help prevent this cycle and keep your blood sugar and energy levels up throughout the day try to eat every 3-4 hours and include enough protein and fibre in every meal. Having low B Complex, not just B12, can cause low energy. Try to boost your intake with B-complex rich foods and a whole-food based supplement, especially if you feel like you have a lot of stress in your life. Being low in certain trace minerals can also leave you feeling drained. Iodine deficiency may lead to low thyroid function which then leads to low energy. Seaweeds contain many trace minerals, including iodine. If you feel like your low energy is seasonal you may want to consider taking Vitamin D3 during the winter months if you live somewhere that doesn't get enough sunlight during those months. Even if you do not have low energy, it is a good idea to look into taking Vitamin D3 between October and March in Canada since it is involved in so many functions, including the immune and endocrine systems. Making a Sole/Brine solution with Himalayan Crystal Salt and adding 1 tsp to your glass of water first thing in the morning may also help improve how well the water is being absorbed. I cannot help but notice all of the new gluten-free options available now, I even have some friends that are avoiding gluten even though they do not have celiac disease. Is this just a fad? How do I know if I should avoid gluten or not? I do not feel like I have any digestive issues so have never really thought I need to avoid it. I do have allergies and eczema but do not see how these could be related to eating gluten. Thank you for your question regarding gluten. It certainly has gained popularity recently, and for good reason. Many people are avoiding gluten because they often feel that their health improves after they cut it out - less bloating and digestive issues, more energy, weight-loss, and mental clarity being some of the most commonly reported. Please note that there is definitely a healthy way to go gluten-free and a not-so-healthy way. There is now an abundance of gluten-free products that are highly processed junk-foods - the wheat or other gluten containing grains have simply been replaced with corn starch, white rice flour, and other low fibre, nutritionally-void ingredients that quickly spike blood sugar. You most likely will not experience the health benefits of going gluten-free is you still eat highly processed and refined grain products - gluten-free or not. If you do decide to avoid or decrease gluten, look for products made from gluten-free whole grains, and even better if they are also sprouted grains. Other products/recipes to consider would be grain-free and gluten-free options, which are abundant in the raw vegan diet. Some examples of these include zucchini noodles instead of gluten-free corn noodles, romaine leaf instead of gluten-free bread/buns, and nut/seed based pie/cake/cookies instead of gluten-free flours. A common misconception is that if you do not notice any digestive discomfort after eating gluten, that you can continue to eat as much as you want. The truth is, that our health depends on the health of our digestion. The effects of gluten on each of our individual digestive systems will vary from very obvious (ie. IBS, bloating, stomach cramps) to so subtle that you often won't experience any symptoms (ie. chronic low level inflammation, leaky gut syndrome, malabsorption, increased mucoid plaque, and dysbiosis). These often unnoticed symptoms eventually lead to issues beyond the digestive system, including: allergies, asthma, skin rashes, low energy, difficulty concentrating, poor memory, eczema, arthritis, joint pain, and more! You may want to try eliminating gluten for at least 30 days and then reintroduce and notice any changes. Please refer to the Infographic below for more information. I have noticed my hair is a lot thinner than it used to be. What can I do to thicken my hair naturally? Thinning hair is a problem many men and women face at some point in their lives. For some, it may be a result of chronically high levels of cortisol, for others it is nutrient deficiencies or hypothyroid. Other reasons include high levels of the hormone dihydrotestosterone (DHT), eating too many grains and sugars, or poor circulation to the scalp. 1) Address Nutrient Deficiencies: The common deficiencies associated with hair-loss include iron, B complex, zinc, and omega-3's. A simple blood test will tell you if you are low in any of these nutrients. Look for food sources of these foods first, and then if you still have deficiencies or want extra support look for HIGH-QUALITY, WHOLE-FOOD based supplements like Pranin, New Chapter, and Garden of Life. 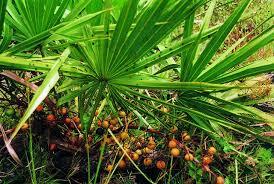 2) Saw Palmetto: This herb can block the enzyme responsible for turning testosterone into DHT. Recommended dose is 360mg/day, best to take half with breakfast and half with dinner. Please check with your health care provider if you are taking medications as it is not recommended if you are taking blood thinners or hormone altering medications. 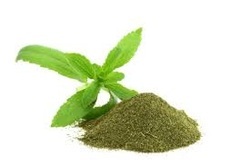 3) Adaptogens: Sometimes hair thinning is due to high levels of the stress hormone, cortisol. If you feel this may be the reason for your thinning hair then taking adaptogens will help your body respond better to stress. A couple of my favourites include rhodiola and ashwagandha. For more tips about how to balance cortisol please read my post on Weight Management. 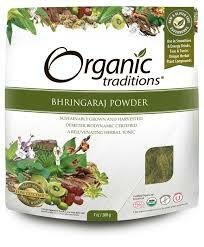 4) Bhringaraj: An Ayurvedic herb used for healthy hair. The name is a Sanscrit word meaning "ruler of hair". It is also a great source of antioxidants. You can use it as a powder in food (smoothies, raw brownies, chia pudding, etc), it can also be made into a paste and massaged into the scalp before a shower (wait at least 1hr before showering). 5) Scalp Stimulating Oils: A few drops of Rosemary essential oil mixed in a bit of extra virgin olive oil massaged into the scalp will stimulate hair growth. Other essential oils that may also help include peppermint and lavender. 6) Silica: Although it won't stimulate new growth it can make the hair that is growing thicker. Horsetail and Bamboo are common sources and Bio-Sil has been shown to be very bioavailable form of silica. 7) Hypothyroid: A common cause of a low functioning thyroid is adrenal fatigue. By supporting the adrenal glands, thyroid function may normalize. A symptom of hypothyroidism is hair loss, so it is very important to get the status of your adrenal gland and thyroid checked. Do they use pesticides? Do they leave some honey for the bees to eat or just take it all and replace with sugar-water? 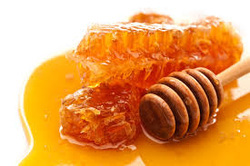 If they are responsible bee farmers that are actually helping improve the health of bee colonies then maybe using honey once and awhile is okay, however, with so many other great sweetener options available I have decided to put my honey consumption on hold for now. * Please note: if you are planting more flowers in your garden to help improve the bee populations please make sure they have not been sprayed with pesticides before you purchased them. A friend recently suggested the low FODMAP diet to help with my digestive issues. 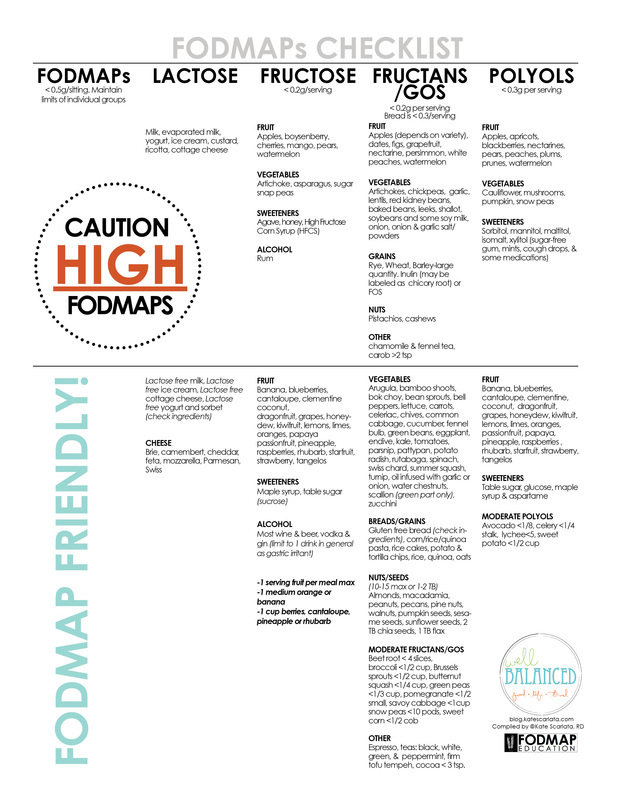 I am wondering what FODMAPs are and how to avoid them? For some people, eating foods that contain FODMAPs can cause a lot of digestive issues because they lack the enzymes to properly digest them. Not fully digesting FODMAPs results in their fermentation - causing gas, discomfort, diarrhea, constipation and other symptoms of digestive distress. Sources of FODMAPs include a variety of common digestive culprits like lactose and gluten, as well as unsuspecting foods like garlic, onions, apples, cauliflower, and cashews. Following a low FODMAP diet can seem a little bit intimidating at first, it is helpful to work with a nutritionist. It is recommended that the diet be followed for 6 weeks. After 6 weeks high FODMAP foods can be added back into the diet one at a time, in order to identify our individual triggers. If you have been strictly following the diet for at least 6 weeks and not noticing any improvements it could be that you are sensitive to some of the low FODMAP grains, trace amounts of lactose, or sugar. 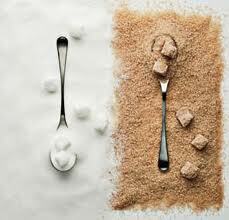 Avoiding corn, oats, rice, all dairy, and limited sugar may help increase the efficacy of the diet. If you would like to learn more or learn how to shop for a low FODMAP diet please visit me at Choices Markets Yaletown on mondays or wednesdays. Other great resources include Kate Scarlata's blog and Monash University. There are so many detox products on the market, what do you recommend for supporting liver health and general detoxification? There are many foods and herbs that support liver function, and Spring is a ideal time to start focusing on these foods, especially since many of them are now in season. The liver is the main detoxification organ, and because it has so many other functions as well, (including bile production, carbohydrate metabolism regulation, hormone regulation, blood filtration, and GTF synthesis) it is important to keep this organ functioning optimally. The liver can often become overburdened with processing toxins that it can't keep up with the other functions, a condition commonly referred to as "sluggish liver". When it can't keep up with processing toxins, the body then makes fats cells to store the toxins in until the liver can get around to processing them. A sluggish liver also puts strain on the other detox organs, including the kidneys, colon, and skin. The liver has two phases of detoxification. The first phase alters the toxins making them weaker and/or water-soluble. 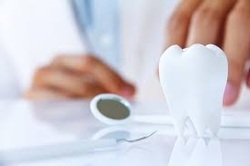 The water-soluble toxins are then excreted via the kidneys. Phase two neutralizes the altered toxins, which are then excreted via the colon. 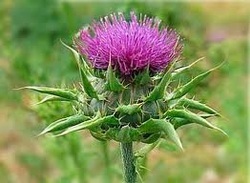 Notes: The above herbs can be enjoyed as teas, tinctures, or capsules. Teas are more gentle and weaker; and tinctures have a stronger effect. *Helps increase glutathione production. In addition to the above foods and herbs, supporting the digestive and intestinal systems is also important for maintaining a healthy liver. Beginning each day with 1-2 glasses of room temperature water with freshly squeezed lemon is a excellent way to gently stimulate and cleanse the liver as well as kickstarting the digestive system. The intestinal system can be supported with probiotics, fibre, and fresh aloe vera. A monthly 3-day juice feast is another great way to re-set your system and cleanse you liver. Want to learn more? Sign-Up for one-on-one guidance - Nutrition Consulting and Custom Meal Planning services. Yes you are right! 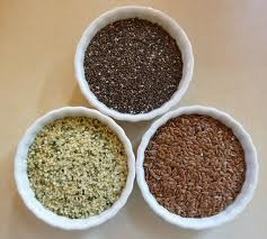 Sprouting is recommended for grains, nuts, seeds, and legumes. These foods are the plant's seeds, when we buy them in their raw state they are dormant, the enzymes are 'sleeping' to prevent spontaneous sprouting. The first step in sprouting is to soak the seed for 12-24hrs. The presence of water signals the seed that it is now in a favourable condition to start growing - the enzymes now begin to 'wake-up' and become active. This process reduces the enzyme inhibitors and anti-nutrients as well as creating a more digestible food. 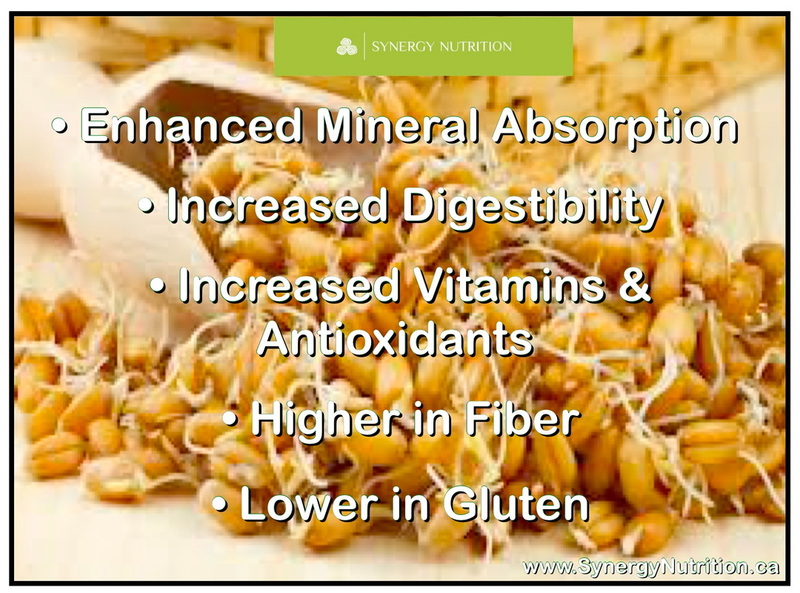 The seed will also now have a reduced ability to inhibit mineral absorption (great news for our teeth and bones!). 1. Limit phytic acid containing foods like grains, legumes, nuts, and seeds; and when you do consume these foods make sure to soak and sprout them. 2. Avoid/decrease mineral absorption blockers: caffeine, tannins, phosphoric acid (from pop), and too much salt; and increase mineral absorption enhancerslike garlic and onions. 3. Take a clay or mineral pitch supplement like Shilajit. 4. Increase stomach acid secretion by taking 1 Tbsp of Apple Cider Vinegar in half a cup of room temperature water 15-20mins before each meal. 5. Eat more alkaline foods, mineral rich seaweeds, organic produce grown inmineral rich soil, as well as foods rich in the fat-soluble vitamins (A, D, E and K). I have heard so much about the benefits of omega-3 fats but have been told that fish is the only source. Is there a way to consume enough omega-3 on a plant-based diet? Omega-3 fatty acids are essential fatty acids that most of us are deficient in. 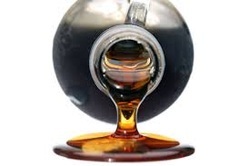 We have no problem getting enough omega-6 since it is so abundant in most vegetable oils, nuts, seeds, and processed foods; we are actually getting too much omega-6 in our diets. Consuming too much omega-6 and not enough omega-3 increases inflammation in the body. The ideal ratio of omega-6:omega-3 we should aim for is 2:1, however most of us (omnivores and vegans) get a ratio of 20:1. In addition to reducing our consumption of omega-6, it is really important to get enough omega-3. Omega-3 fats include the shorter-chain ALA, and the longer-chain EPA and DHA, which are considered the active forms of omega-3. Our body can convert the ALA form into the active forms of EPA and DHA, but not very efficiently. Algae, however, does contain the already converted forms EPA and DHA. Fish are also a source of EPA and DHA, which is why they are said to be better sources than flax and walnuts. However, if we eat a wide variety of plant-foods and make sure to include algae, seaweed, flax, chia, hemp, walnuts, camelina, echium, sacha inchi, and purslane, then we can skip the fish and still get all the omega-3 we require. If you have deficiency symptoms, are eating too much omega-6, or do not normally consume enough food sources of omega-3, then I recommend taking one of the many algae-based DHA/EPA supplements, which come in liquid or capsule forms. Whenever I juice I feel like I am wasting too much of the fruit/vegetable. 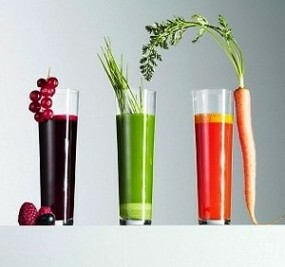 Wouldn't it be better just to eat the fruits/vegetables rather than juice them? You definitely shouldn't think of it as a waste. The benefits of juicing are possible because the fibre has been removed, allowing for instant absorption of vitamins, minerals, antioxidants, and amino acids. You get an instant energy boost and tons of nutrients every time you drink fresh (unpasteurized) juice, and because there is no fibre you are giving your overworked digestive system a much needed break. Since so much of our energy is used when we digest food, every time we drink juice there is energy leftover that can then be used for detoxification, cellular repair and healing. Juicing also allows us to consume more fruits and vegetables than we could if we were just eating them whole. Don't want to waste the pulp? You can save the pulp by freezing or dehydrating and then use it to make soup stock, crackers, croutons, breads. Learn 7 more ways you can use juice pulp. 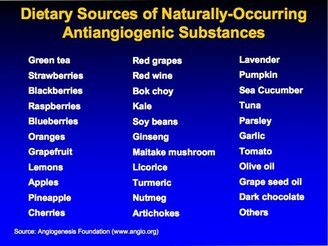 Mushrooms seem to be particularly high in cancer-preventative properties; try adding shitake, maitake, chaga, reishi, and turkey tail to your daily diet. Vitamin B17, found in apricot kernel seeds is also very beneficial. For prevention, it is recommended to have no more than 3-4 seeds per day. Contact Shawna today for Nutrition Consulting, Personal Chef services or a Private Raw Food Class! I want to slowly transition to a high-raw diet. Do you have any recommendations for a good first step? An easy first step for transitioning to a high-raw diet is to replace your regular breakfast with a green smoothie. A green smoothie for breakfast is a great way to start the day because it provides a quick boost of energy, is full of leafy greens, and it is source for easily digested and absorbed nutrients. 1. Dates may need to be soaked. Depending on how fresh your dates are, and how strong your blender is, they may or may not have to be soaked ahead of time. If you find there are still little chunks of dates in your smoothie, then soaking them at least 1hour before blending will make for a smoother finish. 2. Blend greens first. If you don’t have a high speed blender like a Blendtec or Vitamix and find the smoothies are too chunky, then blend the water and greens first until very smooth, and then add the remaining ingredients and blend until smooth. 3. Avoid the cold. Best to use room temperature water, especially first thing in the morning. Ice cold drinks decrease your ability to digest food properly. In the morning especially cold drinks will shock the digestive system. If using frozen fruit, let it sit out a defrost a little bit, or blend it a little bit longer as the friction will warm up the smoothie to room temperature. 4. Be mindful of food combining rules. If you are going to add other ingredients to these recipes best to avoid anything with fat and dense proteins. This will ensure optimal digestion, and you will get a quicker energy boost. *If you want to add something like chia, flax, or almond milk etc, it is best to add this to the second half of your smoothie that you consume later in the day. First thing in the morning we are “breaking a fast” so you want simple, properly combined smoothies. 5. 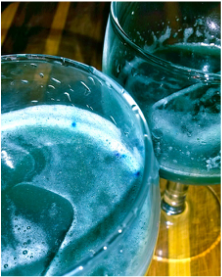 Blue-green algaes are very detoxifying! If you are new to using these, start out slow, if you take to much at first it will mobilize the toxins in your body faster then you can eliminate them – this will result in detoxification symptoms like headaches, irritability, nausea, diarrhea, etc. Best to start out with 1 teaspoon per day, slowly increasing to 1 tablespoon per day over a 1 month period. They are a great superfood and powerful medicine that can be added to all of your favourite smoothie recipes (i.e. feel free to use in more then just the Supergreen Recipe to add extra energy, protein, essential fatty acids, and chlorophyll). Ideally they should be rotated every 4-8 weeks (buy spirulina and finish the bottle, then buy chlorella and finish the bottle, then can try E3Live and finish the bottle, and continue to rotating them). 6. Try adding lemon juice. If you find the green smoothies too bitter, balance by using something sour (freshly squeezed lemon or lime juice, golden berries). 7. The 60 / 40 ratio. A general ratio to follow for great tasting smoothies is 60% fruit and 40% greens. As your taste buds change you may want to increase the greens/vegetables and decrease the fruit, or leave the dates out and just balance the bitter greens with lemon juice. You can also start playing around with different ingredients like celery, cucumber, cilantro, basil, and parsley!